Rt.#219 from Lewisburg, WV to Hillsboro,WV. !/2 mile from Hillsboro, a sign on road to right will lead you to the park, about 5-10 mile back into the campsites and cabins. My husband and I spent our 60th. Wedding Anniversary in this cabin, in October 2010. 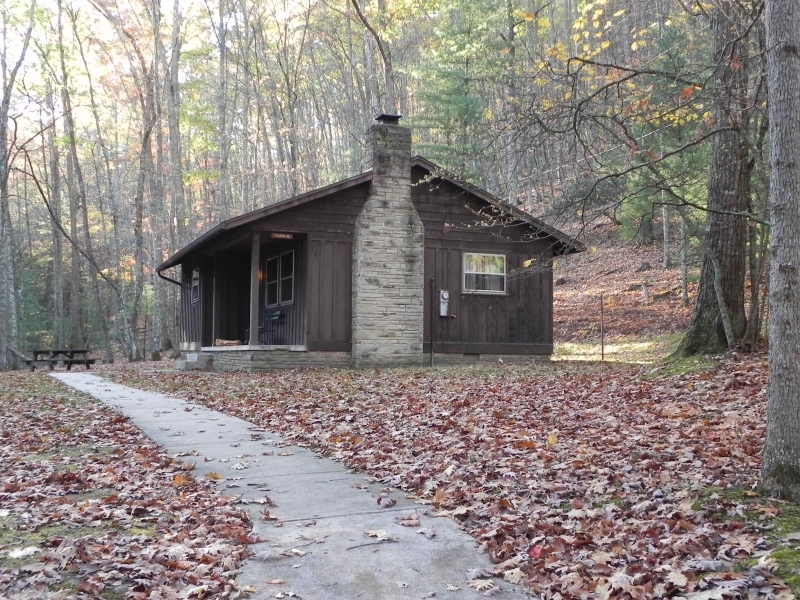 Cabin in Watoga State Park, WV.